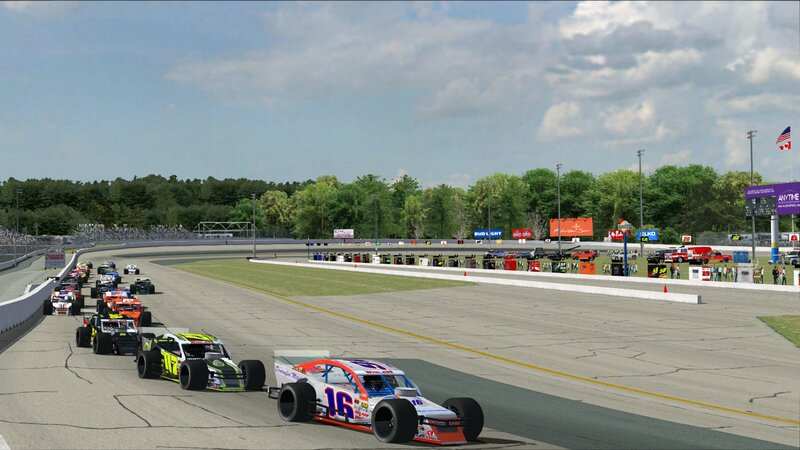 Finally, PST brings you an accurate version of the historic 0.625 mi oval for NR2003! 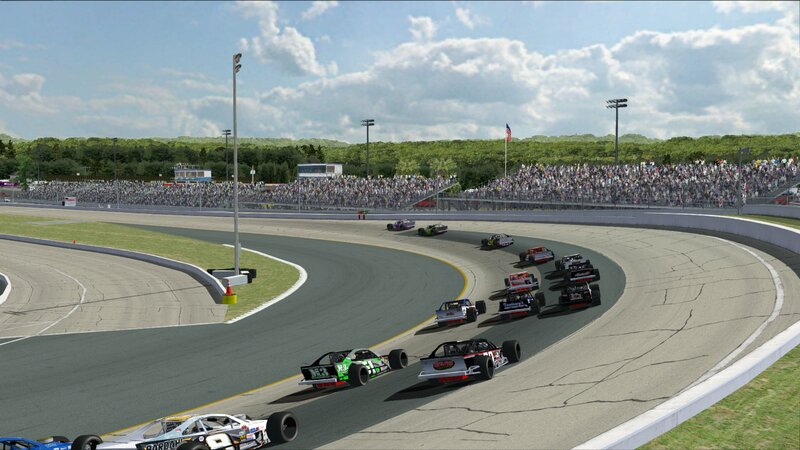 The Project: Short Track development team is proud to present an all-new, built-from-scratch version of Thompson Speedway Motorsports Park. • The accurate current day 0.625 mi. configuration based on satellite images. 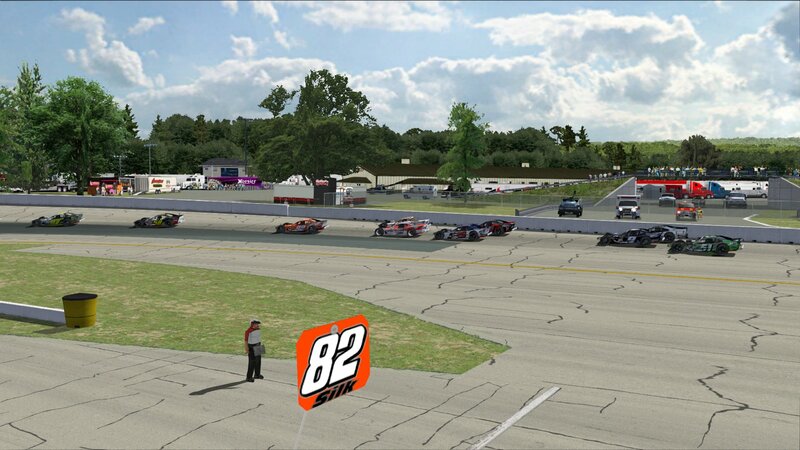 • More accurate pit road to resemble the real track's configuration. • All new 3D objects crafted by Bowtie Anderson, Ian Smythe and J.R. Franklin. • Accurate object placement and size based on satellite and reference photos. • An enhanced level of detailing and immersion to closely resemble the real facility. 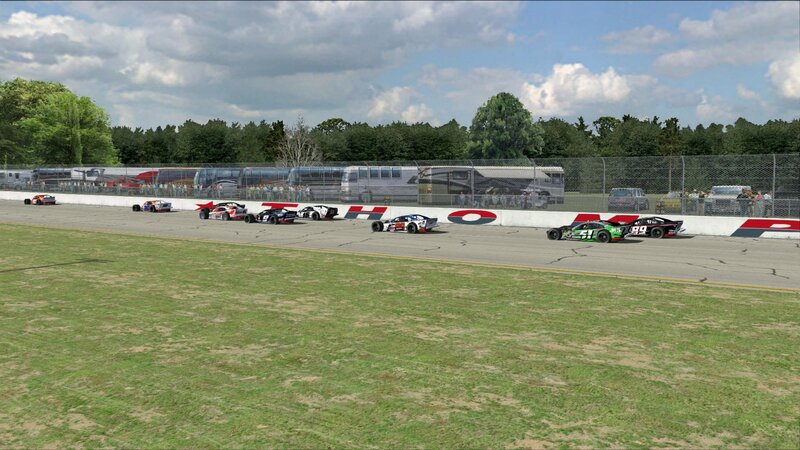 • Authentic short track full lap starting grid. All of the PST Development Team had a hand in the final product. Wayne and Ian again chipped in with their outstanding modeling work. 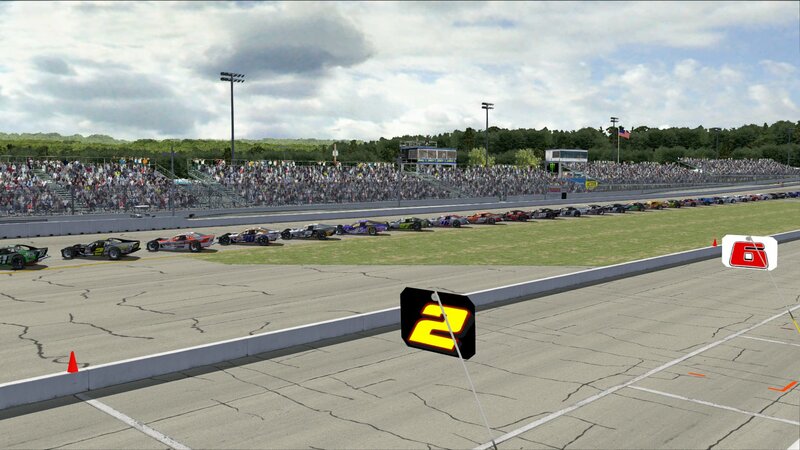 Practically everything you see in this track was custom made including grandstands, towers, haulers, buildings, etc… you name it. Ben was essential with his first-hand experience of the facility and persistence on detail and accuracy, not to mention his graphics work on haulers and billboards. Matt once again provided excellent cameras and Carl for his general sandbox help and knowledge. Special thanks also goes out to our honorary PST member, Fortine_oo, for troubleshooting some pesky A.I. bugs and working diligently on coming up with fixes to improve the work-ability and enjoyment of the track. Short track A.I. work and pitting can sometimes be problematic and is always tedious, thankless and uncharted territory in NR2003. This guy is one of the best there is! 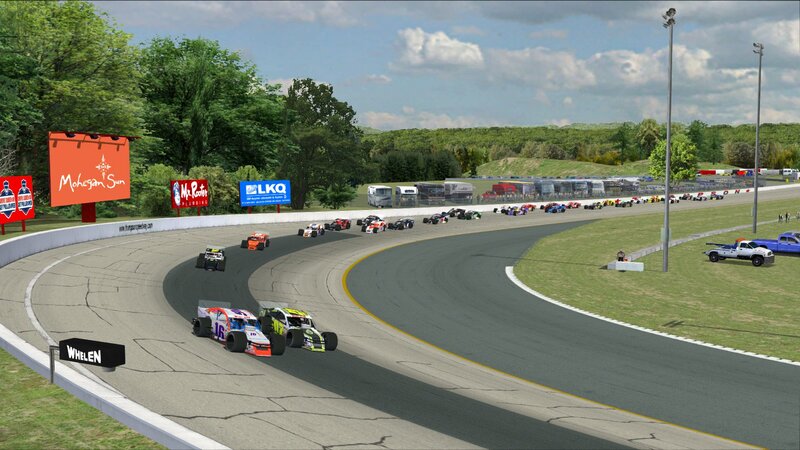 This NR2003 version of Thompson Speedway is an accurate 0.625 mile asphalt oval with 11-15 degrees of banking in the corners and infield pitting for 29 cars. There are also very important notes in the README file about the A.I. and how to get the best results when racing on the track in NR2003 so be sure to take the time to read through it. There are a few other people who made objects, etc. that were used in this project so please be sure to read about all of their contributions in the CREDITS README file provided with the track. 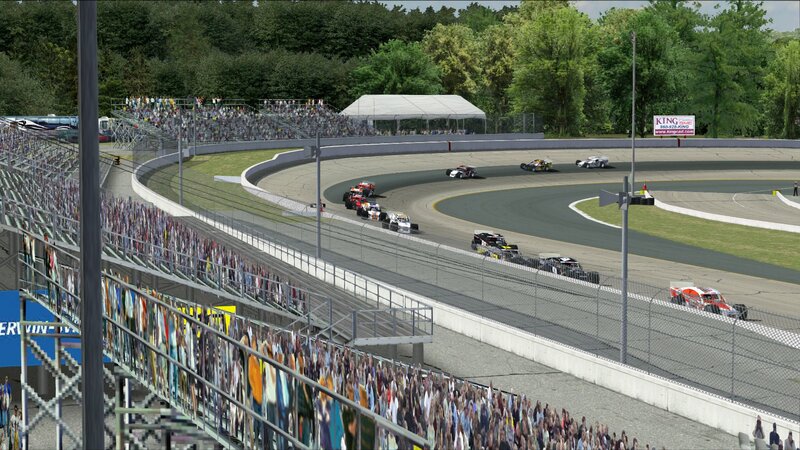 So with that, we bring you the All-new Thompson Speedway Motorsports Park with 2 distinct racing grooves! Like the real-life track the high line is the preferred way around, but inside passes can be made with persistence and a good setup. The Fast setups provided with the track are very competitive and can serve as a good base to make your own personalized setups. We sure hope that you’ll find this to be our best effort yet at unparalleled detailing in track making, driving and short track racing enjoyment!